Don’t settle for a generic automotive lift! Make sure your prospective lift was engineered by a team comprised of only the best. If someone took pride in designing your automotive lift, chances are you’ll take lots of pride in owning it. Lifting operation tends to be much smoother when experienced engineers crafted the final product keeping the end user in mind. Make sure the lift you are looking at meets the ALI (Automotive Lift Institute) standards. More information can be found at www.autolift.org. Research is undoubtedly a large part of your decision-making process. If you are having difficulty finding product information – beware. Reputable automotive lift companies are proud of their products and features. If you are researching a particular automotive lift and you find yourself pages deep on Google with no real useful information, chances are they are hiding something ? When it’s easy to find the information you are looking for, you can be confident you are on the right track. This plays directly off the previous tip. There should always be a lift manufacturing company proudly displaying their name on a prospective vehicle lift. Unfortunately, many lift “brands”, simply don’t live up to their labels and can actually be deceptively supplying these products as their own. If you find an auto lift that interests you, be sure to find informative details and a real manufacturing company website. Something to consider is does the lift you’re looking at have manufacturing in the U.S.? If you can’t find solid, verifiable information relating to the manufacturer of any given automotive lift or if only a very limited number of dealers even sell the lift, you are best suited to look for alternative lifts. You may find a lift you are absolutely ecstatic with, but is it physically feasible in the space you have? Measure, re-measure, and re-re-measure again. Vehicle lift alterations may be possible, but often times costly and timely. Be sure to double-check with local installers to find out the minimum space required to work on your new auto lift. It is important to get the best value out of your new lift. 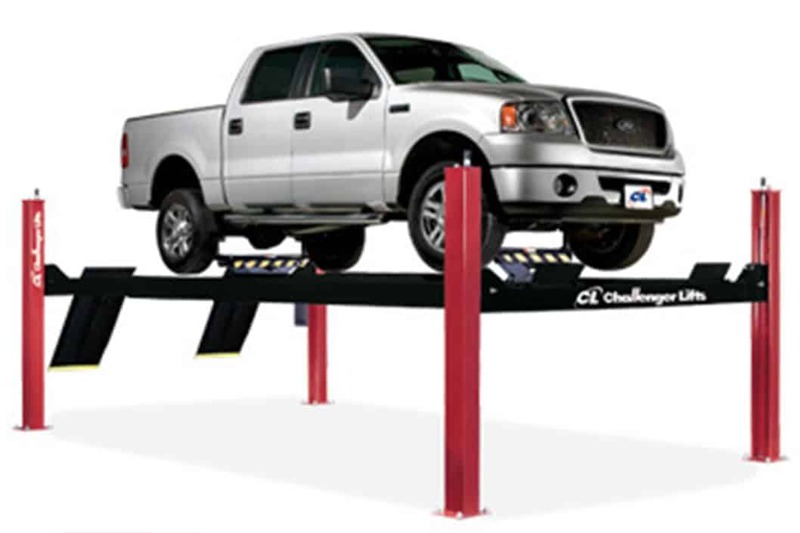 Keep in mind, the best car lift for you is often not, if ever, the most expensive car lift or the cheapest car lift. It is also key to understand what type of warranty comes with your new lift. Warranties usually come standard with purchase, but can often be extended to cover years or even the entire life of the auto lift in some cases. You get what you pay for and maybe a little more if you catch a retailer during a sale. Follow these 5 guidelines and you’re sure to find a lift suited just for you. If you’re in Delaware, Maryland, northern Virginia, the West Virginia Panhandle or Washington, D.C., contact Chesapeake Automotive Equipment to learn more about our full line of lift options. Chesapeake Automotive Equipment provides top-of-the-line general shop and automotive equipment to commercial automotive-related businesses ranging from independent mom and pop auto collision and repair shops to heavy-duty repair facilities to auto dealership groups along the East Coast. Contact our sales team at 800.604.9653 to find the right solution for your business.